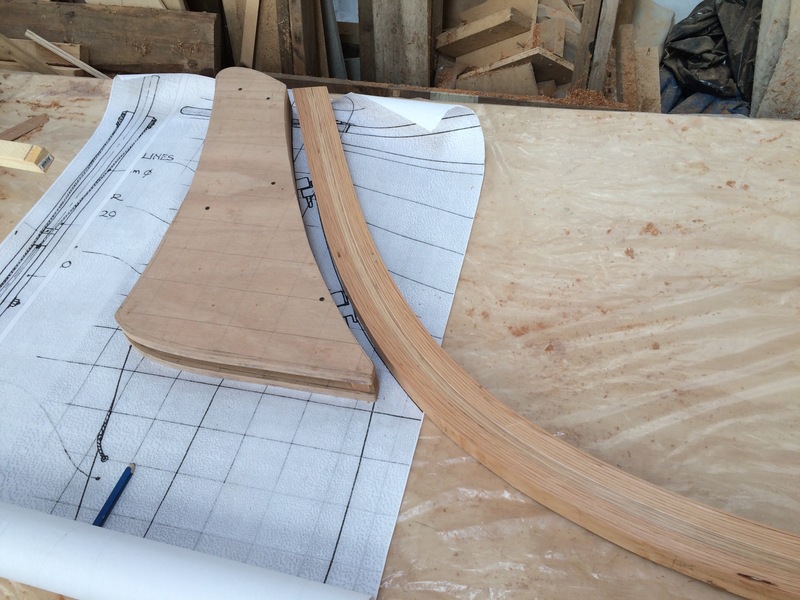 Experience in working on gyprock and mudding all the joints and corners and having to then sand them down to a fair blend to the straight board stock, is that it is worth spending a little more time sanding even if to the eye and to the fingers it appears to be smooth. 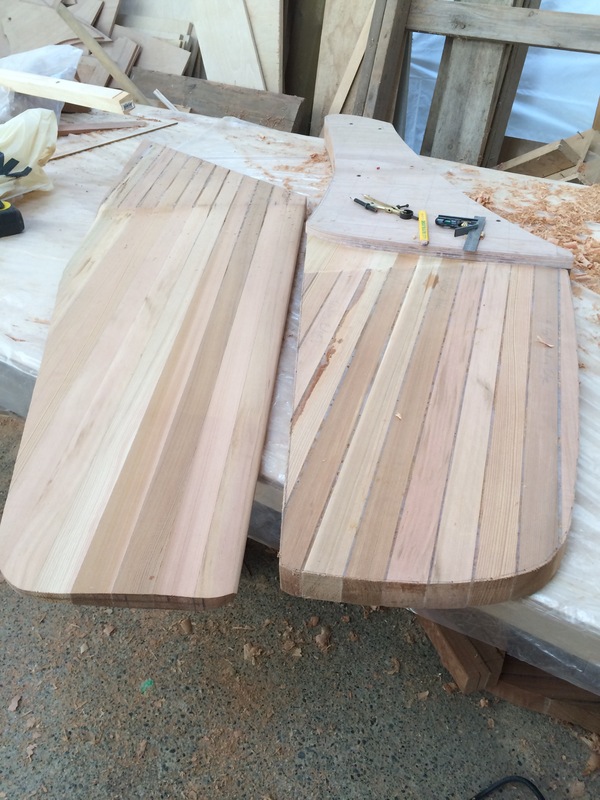 Once I add the unidirectional carbon fibre and epoxy I will certainly discover new spots that are not quite right for the centreboard and rudder NACA profiles. 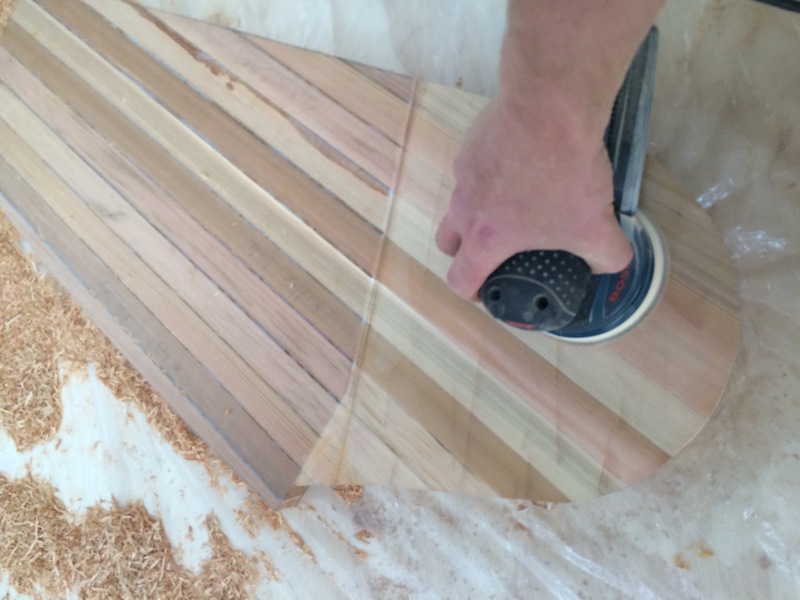 Sanding down epoxy is much harder than bare cedar. I’m feeling fairly confident about the shape now and I’m looking forward to adding the epoxy and carbon fibre. 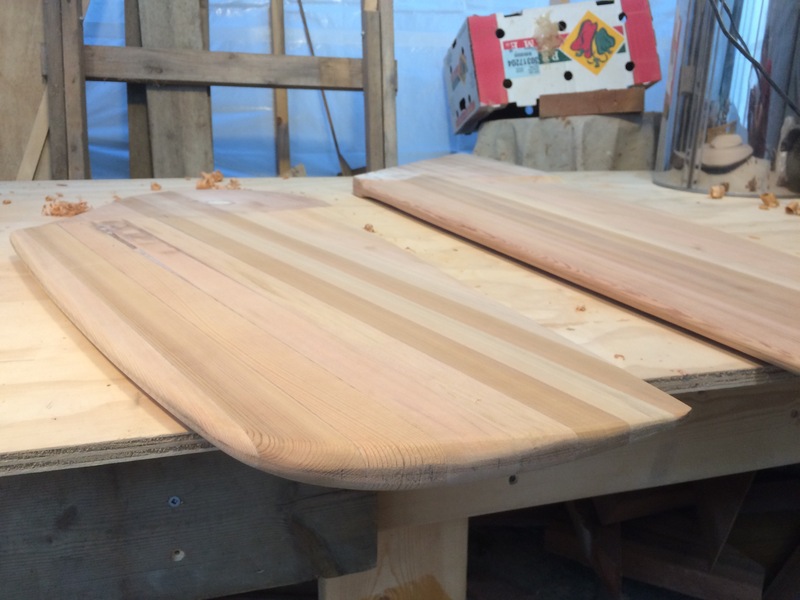 This beautiful cedar will soon disappear behind layers of carbon, Kevlar and graphite. The only part of the boat I felt would benefit from additional strength beyond just wood fivers. 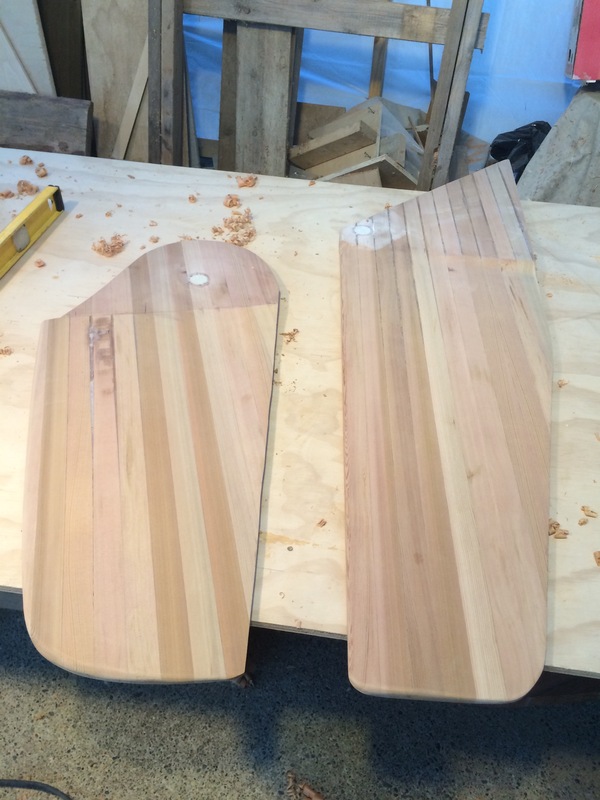 This evening I cut the kerfs in the rudder and started planing down to the kerf lines to get my desired shape. I made good progress, but I probably have a couple hours left of hand planing and sanding to get down to the final shape (NACA profile of 0086). 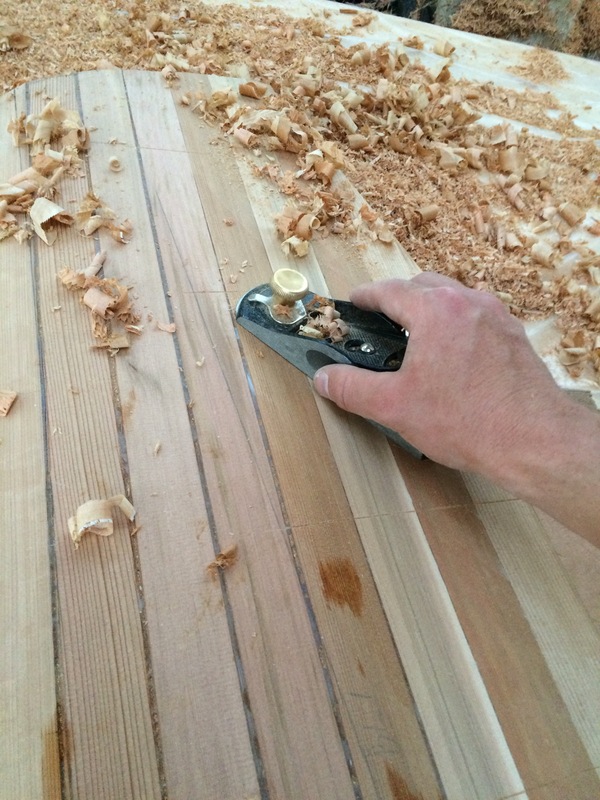 Its not all hand planing, I do the bulk with the power planer and then fine tune with the block plane until the lines from the kerf cut are barely visible. 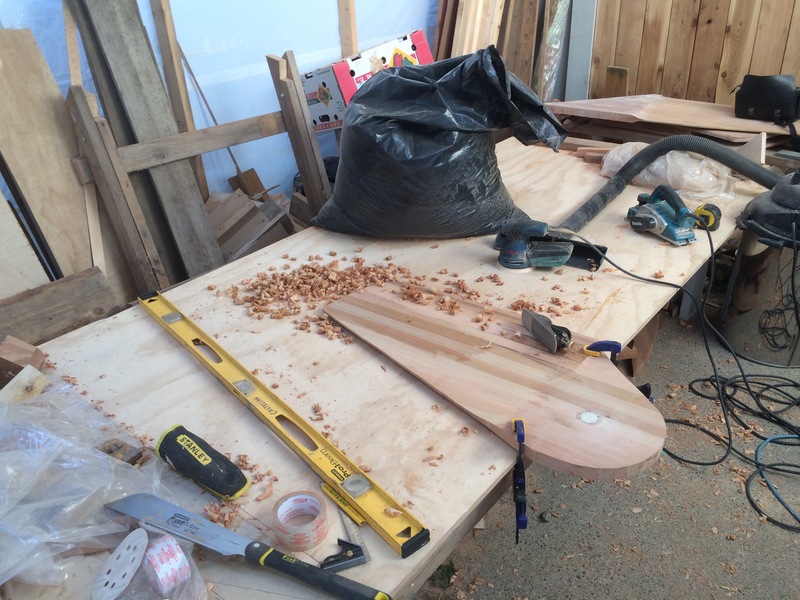 I then finish with the sander. Untitled from Gwendal Castellan on Vimeo. Its been hot and if this weather keeps up I will have to go get a slow hardener to keep some working time when I drape the foils with linear carbon. 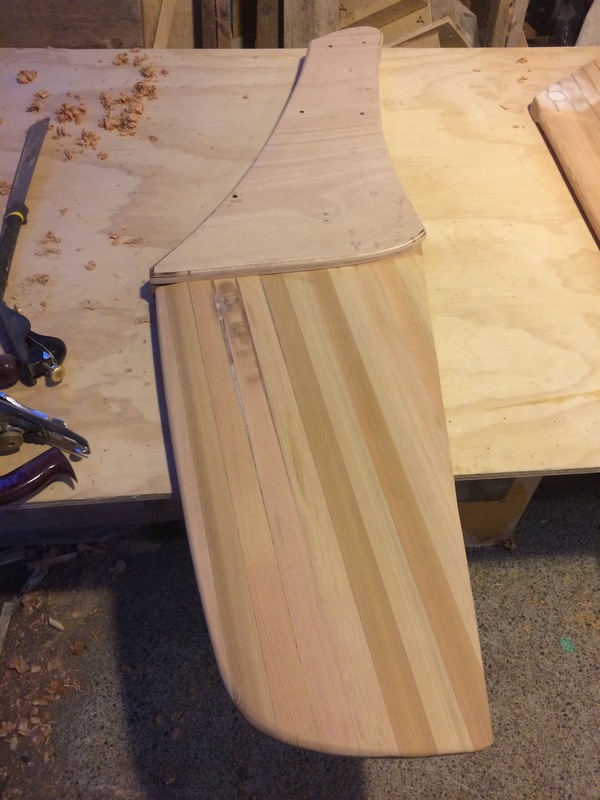 I’m looking to work with the plan dimension for the rudder of 1 1/8″ thick section but trying to make the thickest point of the profile 1 1/2″ so that the rudder has a NACA 0010 profile that has a higher stalling angle. This is probably overthinking the foils on my part, but since it is relatively simple to do why not?